Michael Phillips is a Lecturer in the Faculty of Education, Monash University. His work focuses on the knowledge expert teachers develop when integrating educational technologies into their practice. Additionally, Michael researchers the ways in which expert teachers make active decisions about their classroom technology integration. Michael’s research regularly involves collaboration with colleagues from Australia, the United States, Europe, Asia and the sub-continent. These projects have resulted in a range of books, book chapters, peer reviewed journal articles and conference presentations including a Highly Commended Paper Award from the Australian Council for Computers in Education (ACCE) and the Best Paper Award at the Society for Information Technology and Teacher Education (SITE) conference in 2016. Michael has also received the Dean’s Award for Excellence in Teaching and Learning (2015), the Vice-Chancellor’s Award for Programs that Enhance Learning (2016), the Monash Postgraduate Association Lecturer of the Year Award (2016) and the Dean’s Award for Outstanding Research by an Early Career Researcher (2017). Prior to joining Monash University in 2013 Michael was a senior teacher for 15 years in secondary schools. He is also an Associate Editor for the Australasian Journal of Technology in Education and his work enhancing the professional learning of ICT teachers in Victoria was recognised in December 2013 with an Outstanding Professional Service Award from the Council of Professional Teaching Associations of Victoria. Harris, J., & Phillips, M. (2018). If There is TPACK, Is There Technological Pedagogical Reasoning and Action? In Liu, L. & Gibson, D. Research Highlights in Technology and Teacher Education 2018 (pp. 13-22. Association for the Advancement of Computing in Education (AACE). Retrieved February 12, 2019 from https://www.learntechlib.org/primary/p/207261/. Henderson, M., Ryan, T., Phillips, M., Boud, D., Dawson, P., Molloy, E., & Mahoney, P. (2018). Conditions that support effective assessment feedback in higher education. In D. Wache, & D. Houston (Eds. ), Research and Development in Higher Education: (Re)Valuing Higher Education (Vol. 41, pp. 92-101). Hammondville NSW Australia: Higher Education Research and Development Society of Australasia. Henderson, M., Phillips, M., & Ryan, T. (2018). Designing for technology-enabled dialogic feedback. In D. Boud, R. Ajjawi, P. Dawson, & J. Tai (Eds. ), Developing Evaluative Judgement in Higher Education: Assessment for Knowing and Producing Quality Work (pp. 117-126). Abingdon UK: Routledge. Phillips, M., Koehler, M., Rosenberg, J., & Zunica, B. (2017). Revisiting conceptions of knowledge as part of the TPACK framework. In L. Liu & D. Gibson (Eds. ), Research Highlights in Technology and Teacher Education 2017. North Carolina, USA: Association for the Advancement of Computing in Education. Tudball, E. J., & Phillips, M. (2017). Building intercultural competence and professional confidence through collaboration in an Italian IPE. In A. Fitzgerald, G. Parr, & J. Williams (Eds. ), Narratives of Learning Through International Professional Experience (pp. 95-110). Singapore: Springer. Phillips, M., Koehler, M., & Rosenberg, J. (2016). Considering Context: Teachers’ TPACK development and Enactment. In L. Liu & D. Gibson (Eds. ), Research Highlights in Technology and Teacher Education 2016 (pp. 53-60). North Carolina, USA: Association for the Advancement of Computing in Education. Phillips, M. (2015). Models of technology integration. In M. J. Henderson & G. Romeo (eds. ), Teaching and Digital Technologies: Big Issues and Critical Questions (pp.318-331). Melbourne, Australia: Cambridge University Press. Henderson, M., de Zwart, M., Lindsay, D., & Phillips, M. (2013). Legal Risks and Social Networking: Removing the Blinkers on Cyber Safety. In R. Hanewald (Ed. ), From Cyber Bullying to Cyber Safety: Issues and Approaches in Educational Contexts. New York: Nova Science. Phillips, M., Tour, E., Henderson, M. & Snyder, I. (2012). Giving research students a ‘Second Life’. In T. Islam, O. Lee, J. Peterson & M. Piscioneri (eds), Effectively implementing Information Communication Technology in Higher Education in the Asia-Pacific Region. New York: Nova Science Publishers. Phillips, M. (2016): Re-contextualising TPACK. Exploring teachers’ (non)use of digital technologies, Technology, pedagogy and education. DOI: 10.1080/1475939X.2015.1124803. de Zwart, M., Lindsay, D., Henderson, M., & Phillips, M. (2011) Randoms vs Weirdos, Alternative Law Journal [P], 36 (3), Legal Service Bulletin Co-Operative Ltd., Australia, pp. 153-157. Henderson, M., De Zwart, M., Lindsay, D. F., & Phillips, M. (2010). 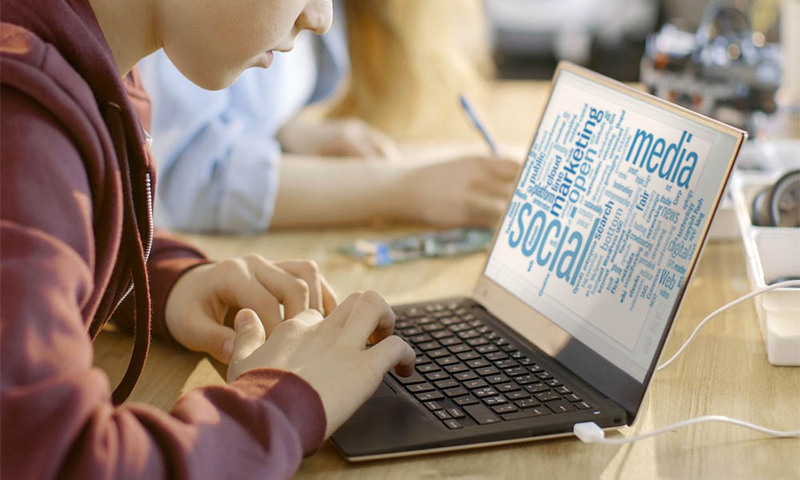 Legal risks for students using social networking sites. Australian Educational Computing, 25(1), pp. 3-7. Henderson, M., Phillips, M., Ryan, T. (2019 – accepted). Why feedback does not work in higher education: student perspectives. AERA2019 – April 5 – 9, Toronto, Canada. Phillips, M., & Harris, J. (2018). PCK and TPCK/TPACK: more than etiology. In E. Langran, & J. Borup (Eds. ), SITE 2018: 29th International Conference – Society for Information Technology and Teacher Education – March 26-30, 2018, Washington, DC (pp. 2109-2116). Waynesville NC USA: Association for the Advancement of Computing in Education (AACE) Publications. Harris, J., & Phillips, M. (2018). If there’s TPACK, is there technological pedagogical reasoning and action? In E. Langran, & J. Borup (Eds. ), Proceedings of Society for Information Technology & Teacher Education International Conference (pp. 2051-2061). Waynesville NC USA: Association for the Advancement of Computing in Education (AACE) Publications. Phillips, M., Ryan, T. & Henderson, M. (2017). A cross-disciplinary evaluation of digitally recorded feedback in higher education. 34th International Conference on Innovation, Practice and Research in the Use of Educational Technologies in Tertiary Education. Toowoomba, Queensland. Henderson, M., Phillips, M., & Ryan, T. (2017) More modality matters. 34th International Conference on Innovation, Practice and Research in the Use of Educational Technologies in Tertiary Education. Toowoomba, Queensland. Ryan, T., Henderson, M., & Phillips, M. (2017). Using rich media to facilitate dialogical feedback processes. In L. Morris & C. Tsolakidis (Eds. ), The International Conference on Information Communication Technologies in Education (ICICTE2017) Proceedings (pp. 329-337). Phillips, M., Henderson, M. & Ryan, T. (2016). Multimodal feedback is not always clearer, more useful or satisfying. Paper presented at Show Me The Learning: Proceedings ASCILITE 2016 Adelaide. Eds Barker, S., Dawson, S., Pardo, A. & Colvin, C. (eds.). p. 514 – 522. Ryan, T., Henderson, M. & Phillips, M. (2016) “Written feedback doesn’t make sense”: Enhancing assessment feedback using technologies. Paper presented at AARE2016 Melbourne. Herring, M., Koehler, M., Mishra, P. et al., (2016). Technological Pedagogical Content Knowledge: Looking forward. Paper presented at Society for Information Technologies in Education Conference, Savannah, Georgia, USA. Phillips, M. (2016). Contextual factors influencing teachers’ TPACK enactment. Paper presented at American Educational Research Association (AERA) Annual Meeting, Washington, USA. Henderson, M. & Phillips, M. (2016). Using Video, Audio and Screencast Technologies to Enhance Assessment Feedback. Paper presented at American Educational Research Association (AERA) Annual Meeting, Washington, USA. Henderson, M. & Phillips, M. (2015). Using digital technology to provide powerful assessment feedback. Paper presented at the Educational Computing Association of Western Australia (ECAWA) 2015 State Conference, Perth, Australia. Henderson, M. & Phillips, M. (2014). Technology enhanced feedback on assessment. Paper presented at the Australian Computers in Education Conference 2014, Adelaide, SA. Phillips, M. (2012). The role of community in teachers knowledge development. Paper presented at the Australian Computers in Education Conference 2012, Perth, WA. Henderson, M. & Phillips, M. (2012) Video feedback on student assessment: scarily personal, powerfully clear. Paper presented at the Australian Computers in Education Conference 2012, Perth, WA. Phillips, M. (2010) Teachers’ beliefs and their influence on technology adoption. Paper presented at the Australian Computers in Education Conference 2010, Melbourne, Vic. Henderson, M., de Zwart, M., Lindsay, D. & Phillips, M. (2010) Students use of social networking tools: legal risks and other implications. Paper presented at the Australian Computers in Education Conference 2010, Melbourne, Vic. de Zwart, M., Henderson, M., Lindsay, D.F, & Phillips, M.(2011) Teenagers, Legal Risks and Social Networking Sites. Monash University, Melbourne. Henderson, M., De Zwart, M., Lindsay, D. F., & Phillips, M. (2011) Will u friend me? Legal Risks and Social Networking Sites. Monash University, Melbourne. Phillips, M. (2015). Enhancing education by augmenting outdoor environments. e-technology. Technology in the classroom, 9 (October 2015), Australian Council for Educational Leaders, pp. 1-4. Phillips, M., & Henderson, M., (2013). Video feedback on student assessment: scarily personal, powerfully clear. Education Technology Solutions [P], vol 1, issue 52, Australian Media Group, Australia, pp. 30-32.
de Zwart, M., Henderson, M., Lindsay, D., & Phillips, M. (2012). Legal risks of social media [online]. Legaldate, 24,1 (March, 2012), pp. 8-9. Phillips, M. (2011). Exploring teachers’ technology integration choices: Understanding knowledge and communities, ICT in Education: Journal of ICT in Education Victoria [P], vol 34, issue 1, ICT in Education Victoria, Melbourne Vic Australia, pp. 9-11. Phillips, M., & Henderson, M. (2014). From the editor. DLTV Journal. vol 1, issue 2, Digital Learning and Teaching Victoria, Melbourne Vic Australia, p. 2-3. Phillips, M., & Henderson, M. (2014). From the editor. DLTV Journal. vol 1, issue 1, Digital Learning and Teaching Victoria, Melbourne Vic Australia, p. 2-4. Phillips, M. (2013). From the editor. Journal of ICT in Education Victoria: Mobile Learning [Special Issue]. vol 35, issue 1, ICT in Education Victoria, Melbourne Vic Australia, p. 2. Thought Leadership. Global Leaders Thought Network, Monash University, September, 2018. Faculty of Medicine, Nursing and Health Sciences, Monash University. “Video feedback – targeted and personal”. October 2017. ANPS Leadership Forum, Bogor, Indonesia. From good schools to great schools: What their Principals do well. October 2017. Society for Information Technology and Teacher Education: The Development of Technological Pedagogical Content Knowledge (TPACK). March 2017. The International Schools of Sri Lanka: Annual Conference “Spotlight on Powerful Technological Pedagogical and Content Practices in Schools”. November, 2016. Monash Business School: “Video feedback for student assessment tasks”. October, 2017. World Science Festival: “Augmented reality and the future of Science Education”. March, 2016. National Institute of Education, Singapore: Ethics in Social Media: Do we really know what we are doing? September 2015. Faculty of Law, Monash University: Good teaching and effective feedback. August 2015. Avila College: Augmented reality and design thinking: Looking to the future. December 2014. Monash University Faculty of Education Teaching and Learning Seminar: Through the looking glass and what you might find there: Augmented Reality and Education. May 2014. Michael has continued to explore his passion for teaching and learning working in a range of undergraduate and postgraduate courses within the Faculty of Education at Monash University. A number of these course and units are related to issues of ICTE in different educational contexts (EDF5145, EDF5146, EDF5648) as well as general teacher education units including EDF4120, EDF5016, EDF5041, EDF5139. Michael’s teaching was recognised in 2014 by the Pro-Vice Chancellor (Learning and Teaching), Professor Darrell Evans, who described Michael’s teaching as “outstanding” and was quantified as being in the top 5.6% of teaching evaluations in the University with 149 out of 150 students rating Michael’s ‘overall teaching’ as ‘good’ and ‘outstanding’ reported as part of the University’s formal student survey (source: Monash University Teaching Evaluation Reports 2013-2014). Subsequently, Michael has won the Dean’s Award for Excellence in Teaching (2015) and the Monash Postgraduate Association Lecturer of the Year Award (2016). Dr Michael Phillips from the Faculty of Education, has been named the 2016 MPA Lecturer of the Year! This annual award inaugurated in 2012, aims to acknowledge lecturers who have been a major inspiration to coursework postgrads during their time at Monash. Dr Phillips was nominated by Jacinta Malborough, a postgraduate he taught in the first semester of 2016. In a heartfelt speech, Jacinta said if it wasn’t for Dr Phillips’ support, she wouldn’t have made it through the semester, let alone the course. Jacinta described Michael as well organised, skilled at bringing tutorials to life and someone who often went above and beyond the call of duty. The MPA committee and staff congratulate Dr Phillips and thank Jacinta for her wonderful nomination. Please email Michael (michael.phillips@monash.edu) to arrange a meeting. In your initial email, please include a full CV, a detailed outline of your proposal and copies of any past publications. Webb, C. (2 February, 2019).‘Ruffy’ in a class of his own. The Age. ABC Local Radio (25 August, 2017). Interview with Wendy Harmer. Virtual language schools in New South Wales. Livefm Breakfast (18 January 2017). Augmented and virtual reality in schools. The Conversation (11 January, 2017). How virtual reality technology is changing the way students learn. The World Today – ABC Radio (17 November 2015). Digital literacy ‘substantially declining’ in Australian students. Jacks, T. (17 November 2015). Texting isn’t enough: Australian students’ computer skills drop, new report shows. The Age, p. 11. ABC Local Radio Melbourne (14 October 2015). Interview with Red Symons regarding Augmented Reality in the Royal Botanic Gardens Melbourne. Jacks, T. (23 August, 2015). Virtual reality: How Oculus Rift could change the way students learn. The Age, p.5. Maiolo, A. (4 February, 2015). 2015’s popular tech trends. Education Review. ABC Local Radio Melbourne (28 January 2015). Interview with Richard Stubbs regarding the future of digital technologies in schools. ABC Local Radio North Queensland (27 January 2015). Interview with Paula Tapiolas regarding the future of digital technologies in schools. ABC Local Radio South East New South Wales (27 January 2015). Interview with Tim Holt regarding the future of digital technologies in schools. Kolowich, S. (26 January, 2015). Could video feedback replace the red pen? The Chronicle of Higher Education. Maiolo, A. (19 January, 2015). Video gives valuable feedback. Campus Review. Maiolo, A. (19 January, 2015). Video gives valuable feedback. Education Review. Ross, J. (14 January, 2015). Video critiques work for students and teachers. The Australian p.28. Hosking, W. (25 April, 2014). Visionary feedback: Teachers ‘mark’ essays with videos to students. Herald Sun p.18. Today’s Schools (27 March 2014) Video feedback at Monash University. Munro, P. (20 March, 2011). Teens ‘too blasé’ about online legal dangers, The Sunday Age, p.3. Technology in the classroom is seen as the next revolution in education. But what needs to be considered before it is introduced? Knowing your students is a vital part of integrating technology into your classroom. You just can’t set and forget. Just because a digital tool works well for one group of Year 7 students, doesn’t guarantee success for another group. Equally, just because the use of a digital tool worked in Period 2 on Monday doesn’t mean it will be as effective in Period 7 on Friday with the same group of students. Technology cannot simply be transplanted from one classroom to another. Teaching is a people business, after all. Content needs to come before technology. Do it the other way, and you can ruin your lesson. Imagine the purpose of your lesson is to develop synthesis skills and teach students to draw themes and ideas from a large amount of information. There are digital tools that are great at this. TagCrowd creates a word cloud from sections of text. The more common the word, the larger its size. It’s quick and easy to see the themes, visually. However, with the click of the button, the app is doing the work, not the student. Research into visual learning aids also shows technology, when not used well, can reinforce misconceptions in students, and create challenging content problems for teachers. Use with caution. With the click of the button, the app is doing the work, not the student. Teaching is not simply telling. Learning is not simply listening. The two exist in a symbiotic relationship. It’s vital to understand this relationship — or pedagogy — when considering which educational technologies might work in your classroom. It’s not about representing the content or making things easier for the teacher. When it comes to technology, there needs to be a mutually beneficial relationship for teachers and students. When that happens, digital technology becomes effectively integrated in the classroom. That’s where the magic happens. Appreciating the context where you work is pivotal in shaping how you use technology in your classroom. The expectations of school leaders, the ideals of parents and caregivers, the capacity of your colleagues and the values you wish to impart are all a part of this context. But my research has shown it’s not a one-way street – teachers and their teaching are not always shaped by the school context. Teachers and their activities with technology can influence their school context, and with that, create change. After considering students, content, pedagogy and context you are well placed to make a thoughtful decision about using technology. Punya Mishra and Matthew Koehler have developed a framework called TPACK to show how technology can be effectively integrated in the classroom. 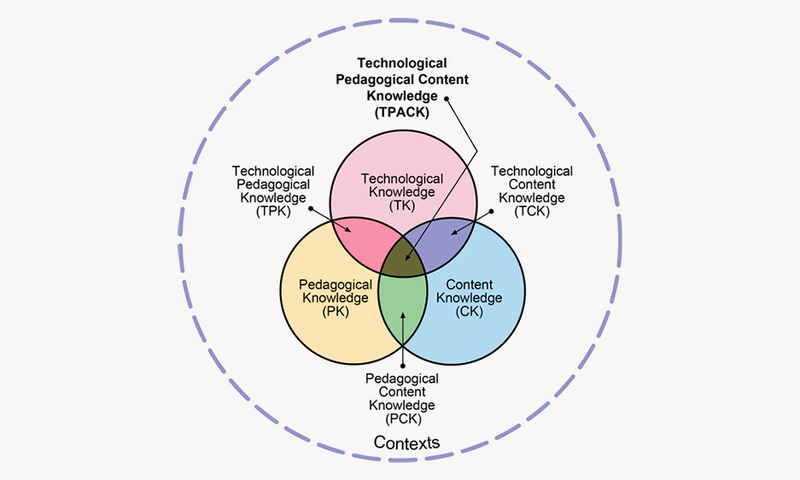 It represents the combination of Technological Pedagogical And Content knowledge and is represented by this Venn diagram. TPACK Venn diagram. Reproduced by permission of the publisher © 2012 by tpack.org. At the same time, you can also reconsider how you use things — pens, whiteboards and post-it notes — that we no longer consider as technology. These basic tools have great qualities that may be far more effective to teach particular content to particular students at a particular time for a particular purpose. After all, isn’t that what we should be striving to do as teachers? Banister, S., & Reinhart, R. V. (2011). TPCK for impact: Classroom teaching practices that promote social justice and narrow the digital divide in an urban middle school. Computers in the Schools, 28(1), 5-26.